ATLANTA (Reuters) - The Bible that Martin Luther King Jr. carried during the civil rights movement in the 1960s belongs to his estate which voted in 2014 to sell the heirloom against the wishes of his daughter, said a court ruling that could now lead to its sale. A trial was still scheduled to begin on August 15 to settle the question of who owns the slain civil rights leader's 1964 Nobel Peace Prize medal, which the estate also voted to sell, according to court records. The estate is controlled by King's three surviving children, Bernice and her two brothers, Dexter and Martin Luther King III. There have been years of legal disputes among King's heirs. King was assassinated in 1968 by a white supremacist in Memphis, Tennessee. The United States marked the 30th anniversary of the U.S. holiday commemorating King in January with speeches, tributes, concerts and parades. 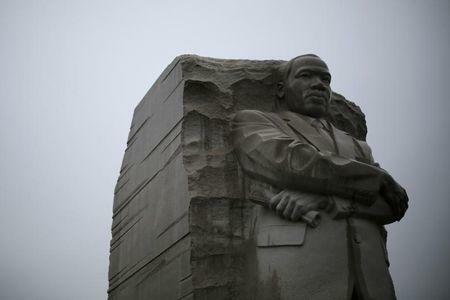 The battle over his possessions plays out as protesters and activists hold marches and rallies across the United States in response to a series of high-profile killings of black men by police, at times invoking King's message of peaceful resistance that was the hallmark of his efforts in the 1960s. In 2014, the estate sued Bernice after she refused to turn over the Bible and medal to the estate after her brothers voted 2-1 to sell both items. Bernice voted against selling the medal and holy book, calling them "sacred" to her family. The Bible was used by President Barack Obama during his second inauguration. Fulton County Superior Court judge Robert McBurney ruled on June 30 that the Bible belongs to the estate but did not rule on the medal, court records show. The ruling was reported in local media on Monday. On the question of who owns the bible, "there is no genuine issue of material fact," McBurney wrote. However, ownership of on the Nobel medal "must be resolved by a fact-finder at trial," the judge wrote. The case has been in mediation, with former President Jimmy Carter participating, but "such a settlement has, so far, eluded the parties," McBurney said in his ruling. Attorneys for the parties in the lawsuit could not be reached for comment on Monday. In early 2014, McBurney ordered Bernice King to turn over the Bible and medal so that they could be preserved in a safe deposit box pending the outcome of the lawsuit. 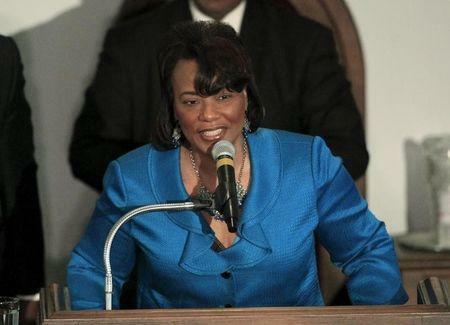 In its lawsuit against Bernice King, the estate said she signed a 1995 agreement giving control of King's possessions to the estate. "While I love my brothers dearly, this latest decision by them is extremely troubling," Bernice said in a statement after the lawsuit was filed. "Our Father MUST be turning in his grave."